Home|Smoking|How Much Money Can You Save by Rolling Your Own Cigarettes? How Much Money Can You Save by Rolling Your Own Cigarettes? It is a fact that, across the country, the prices of cigarettes and tobacco are on the rise, and it is costing the average smoker dearly. Here at Burn & Brew we pride ourselves on having the best prices on cigarettes in Arlington, though nation-wide, as of January 2016, the average retail price of a cigarette carton was high as $65 and that of a pack of cigarettes as high as $10. While many smokers are simply paying the high prices in order to continue smoking, others are considering more cost-effective alternatives like rolling their own cigarettes. Indeed, you can save quite a lot of money by rolling your own cigarettes. Rolling your own cigarettes is definitely preferable and much cheaper compared to turning to low-class cigarettes and/or low-grade tobacco from abroad, purchased online. Rolling cigarettes has become a common practice throughout Europe because of how expensive cigarettes are there compared to the U.S. There are several reasons that you will grow fond of rolling your own cigarettes, too. The most obvious is the fact that it is economical and you will save money. One of the reasons pre-rolled cigarettes are so costly is because of taxes, while loose tobacco is not taxed as heavily. Unlike traditional cigarettes, rolling papers available today contain barely any or no chemical additives at all. So, the legal smoking herbs and/or tobacco that is rolled can actually be tasted. Rolling your own cigarettes also gives you the ability to decide exactly what you smoke, in terms of farming method and flavor. What Will You Need To Roll Your Cigarettes? A cigarette roller is a simple device, and one of the handiest smoking accessories, that will enable you to save some time along with money and it will be a one-time investment that is worth having. If you feel that you will not be able to or will just not have the time to roll your cigarettes by hand, a cigarette roller will make it much easier. A cigarette rolling machine can be purchased at a smoke shop or online and they generally cost around $35. Cigarette rolling papers are papers that are rolled up to form the empty tube for the herbs and/or tobacco to be rolled into. Once again cigarette rolling papers are available from a myriad of brands in different packs containing varying numbers of the paper and in different sizes. However, the typical price of a pack containing 50 leaves of 1-1/4 size rolling paper is as low as $1. Pipe tobacco is available from different brands in different flavors and sizes, although 6 ounce cans is the typical size available these days. A 6 ounce can of pipe tobacco can cost anywhere between $6 and $9, or as much as $10. Up to roughly 200 cigarettes can be prepared from a can containing 6 ounces of tobacco, which is the same number of cigarettes present in a carton of commercially available, pre-rolled cigarettes. Since the whole idea behind rolling your own cigarettes is that you will no longer be buying packs of cigarettes, it means you might need a case to protect and store your rolled cigarettes. Then again, you can also store your cigarettes in an old empty box that contained your former pack of cigarettes. However, if you would rather invest in a case, it will not cost more than $20. How Will You Save Money By Rolling Your Own Cigarettes? 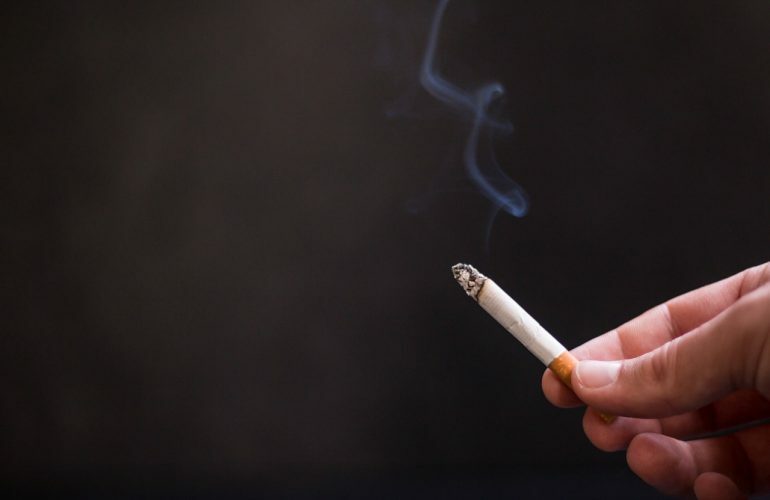 If you do the math, you will realize that the yearly cost of smoking cigarettes from commercial brands, provided that you smoke up to three cartons a month, can shoot up to $2000. On the other, the yearly cost of rolling your own cigarettes if you smoke the same amount will be no more than $500. Once again, if you do the math it will not take you long to realize that you could end up saving over $1000 by making a few one-time invests and keep a stock of rolling papers and tobacco in order to roll your own cigarettes. So, the bottom line is that you can definitely save money by rolling your own cigarettes. Moreover, the cigarettes you will roll be purer and stronger, while you will definitely love the flavor when you to pick and choose what ingredients should be in your cigarettes. So, start saving and start enjoying your cigarettes far more than commercially available ones by rolling them at home using the limited number of things that are required.